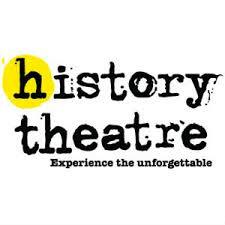 On Tuesday, February 19th from 6:30 pm-7: 30 pm Vail Place members from the Theater Arts Program will once again perform at the History Theatre in St. Paul. Scenes, monologues, poetry, song, and movement will be among the theatrical expressions used to reveal the often devastating challenges of living with a mental illness. Our hope is the audience will gain a deeper understanding of what it’s like to live with mental illness – and the healing and recovery that is possible through knowledge and support. A Dessert Reception will be held after the performance. Throughout the process, members have engaged in creative writing exercises and other theater processes that have, as one member stated, “been cathartic and helped me live beyond my comfort zone and open up to the ‘real world’”! History Theatre is located at 30 East 10th Street in St. Paul. For directions to the History Theatre click here.